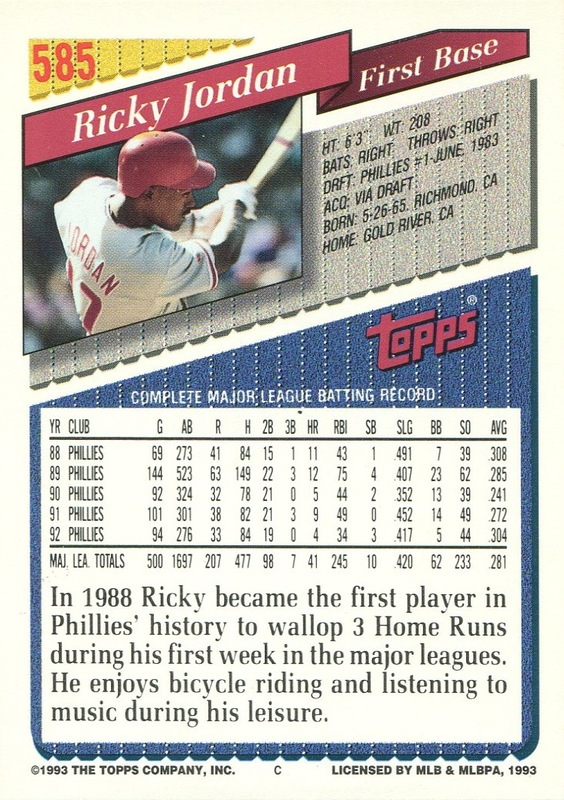 Additional Information: Distributed through hobby dealers as a complete 40-card boxed set. 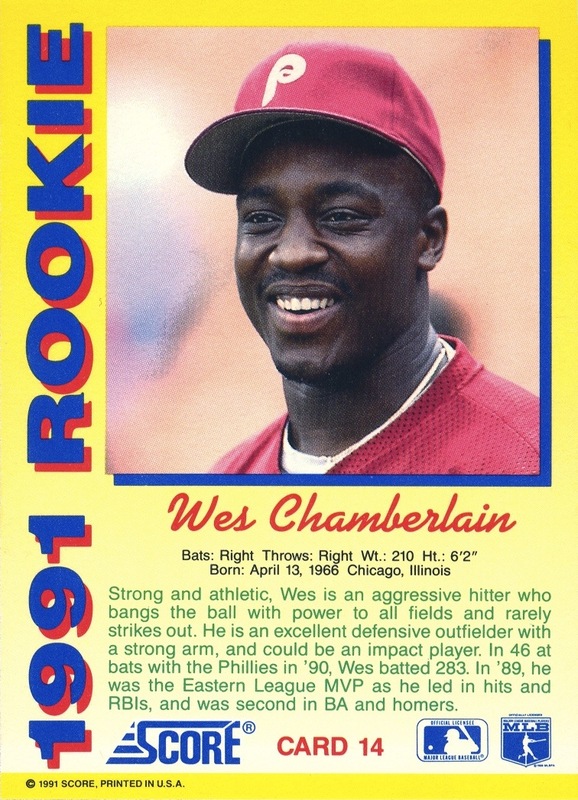 Late last week, I was scanning through Phillies PSA-graded 1991 Topps Desert Shield cards on eBay when I stumbled across a Wes Chamberlain graded as a 10. 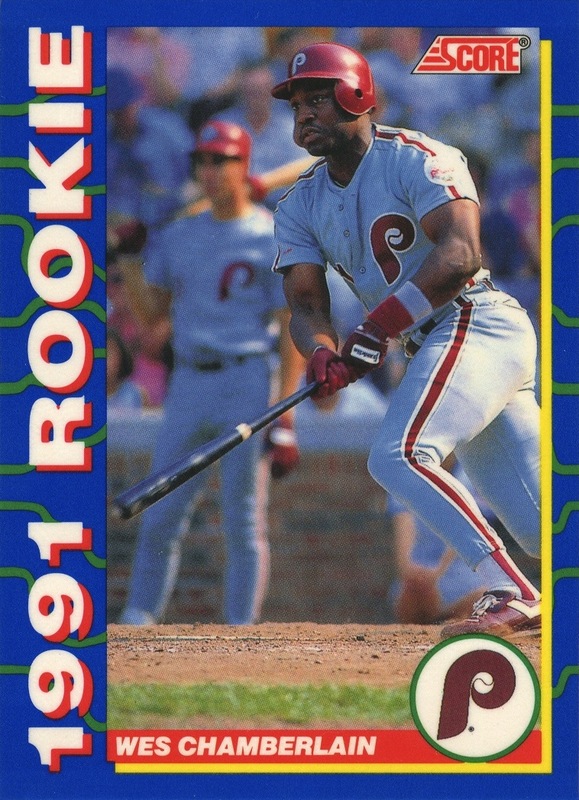 While I was taken aback by the asking price, I was actually more intrigued by the fact that his Desert Shield card was actually the Louis Meadows error (regular version of the error card shown at the left). 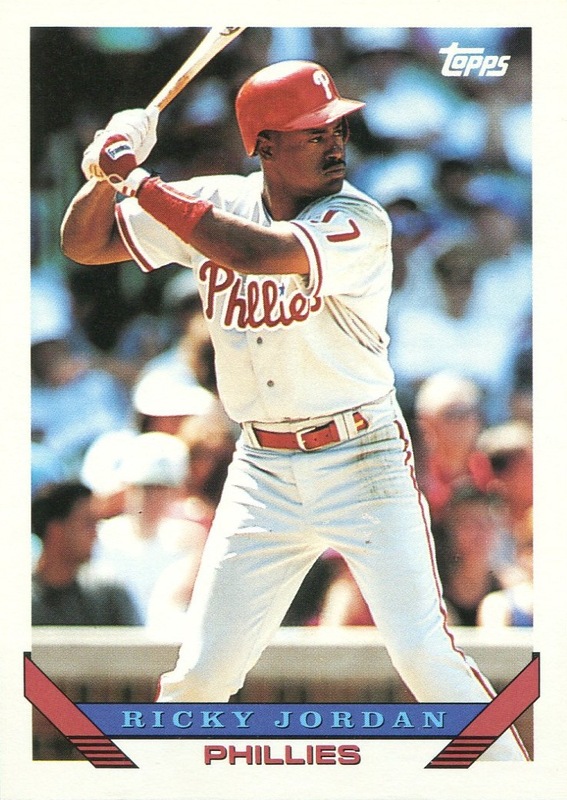 I did my best to research the possibility of a corrected photo Desert Shield card for Chamberlain, but wasn’t able to find any real information. 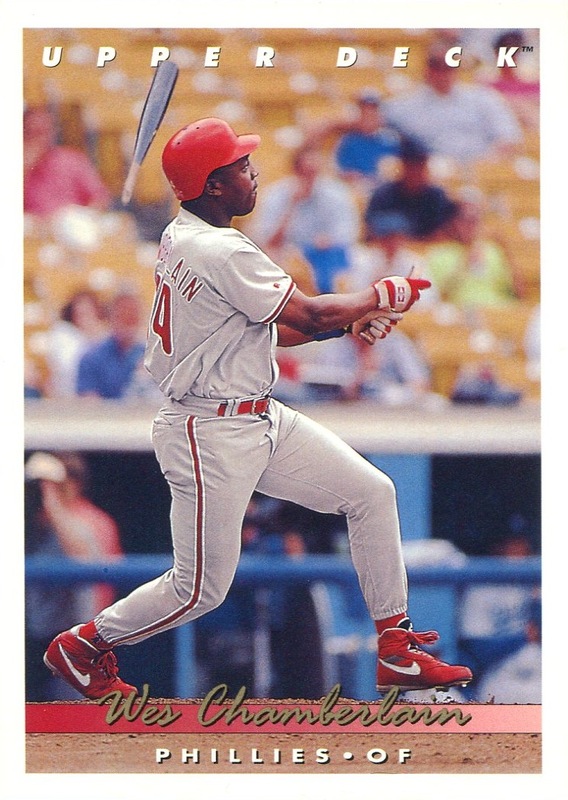 However, given the history behind the cards, the logical (and likely safe) assumption is that Topps completed its printing of the Desert Shield parallels before correcting Chamberlain’s card. 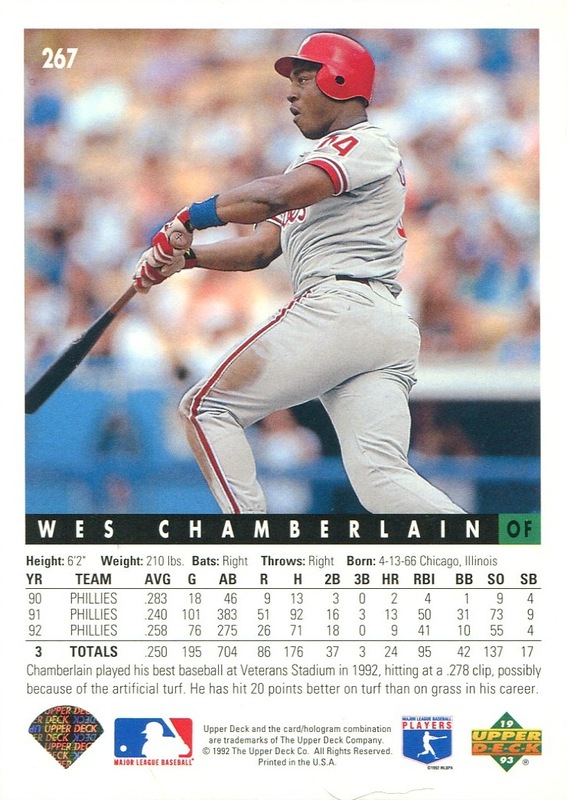 What made all this even more fascinating to me is that I never previously gave a single thought to Chamberlain’s card, the Meadows error and how they fit into the Desert Shield cards. But, what surprised me even more is what I found in Beckett and SCD during my research of the Desert Shield Chamberlain card. 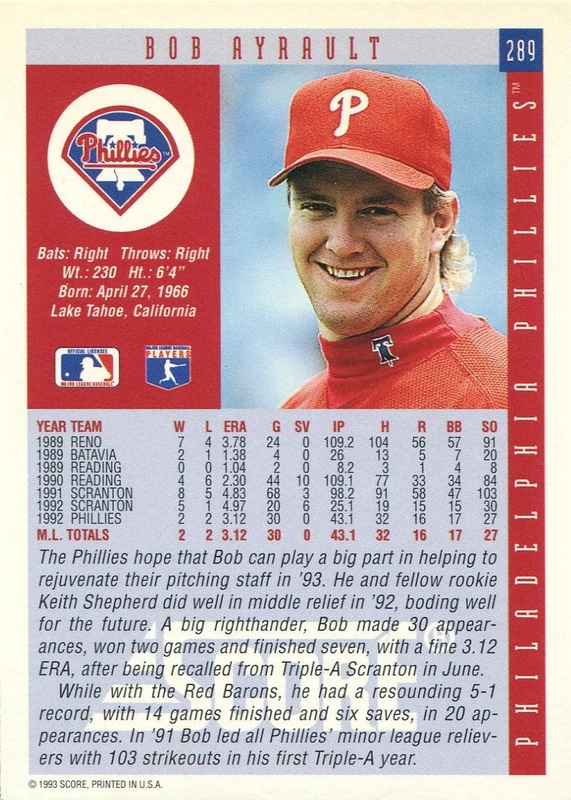 Given the way SCD usually provides information on parallel cards, I didn’t expect to find any information regarding the Desert Shield Chamberlain parallel. 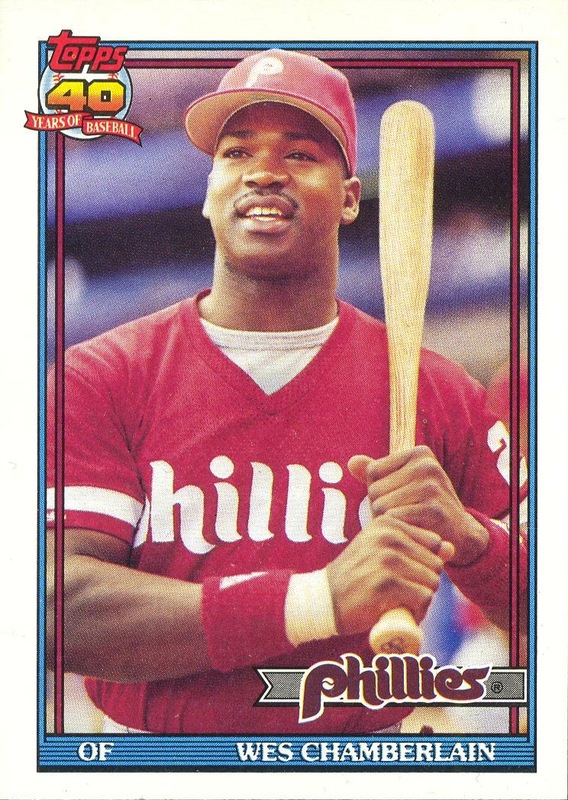 However, when I looked up the regular 1991 Topps set in the 2011 Standard Catalog of Baseball Cards I was stunned to see that they misidentified which is the error and which is the correct version. 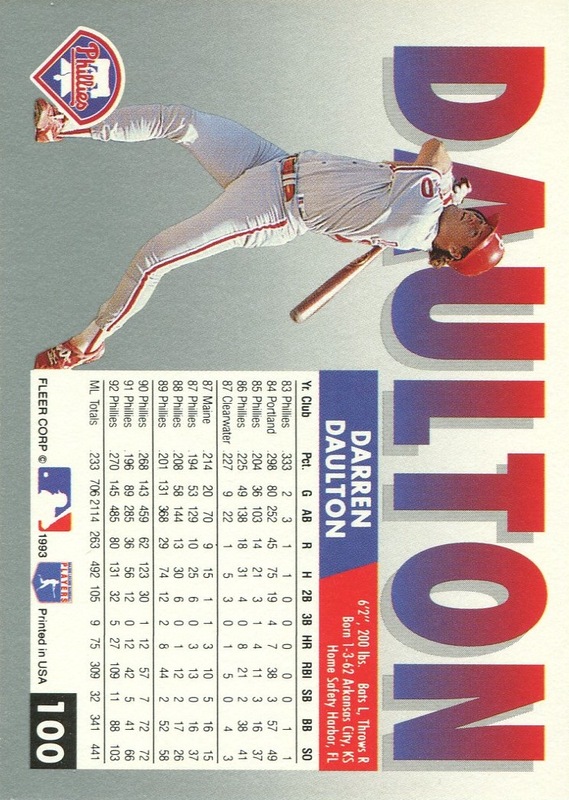 This set came out over 20 years ago, and they have the cards listed incorrectly. Beckett’s online price guide information repeats the same error: when you click on the link for the correct Chamberlain card, they show a scan of the Meadows error, and vice versa. 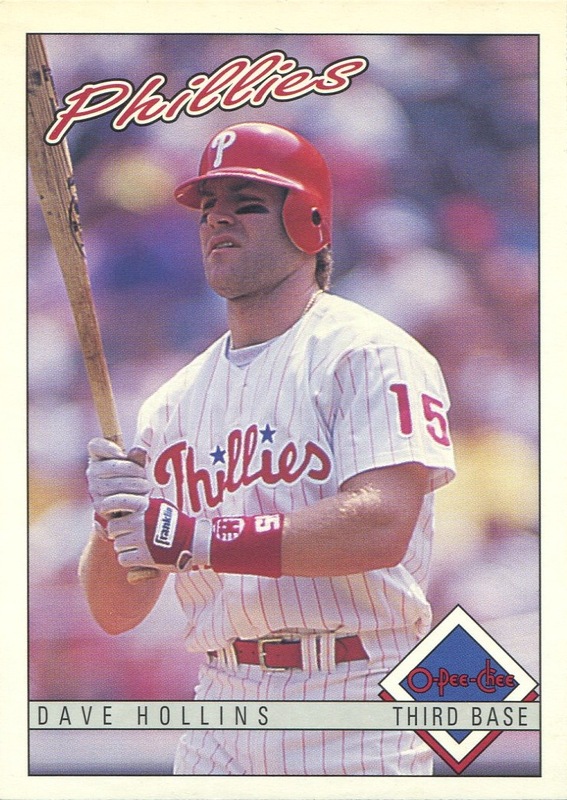 I have never personally seen either the Topps Micro printing of the card or the Topps Tiffany printing, but given the Beckett’s confusion, their attempt to determine which Chamberlain card appears in the two sets suddenly looks suspect. 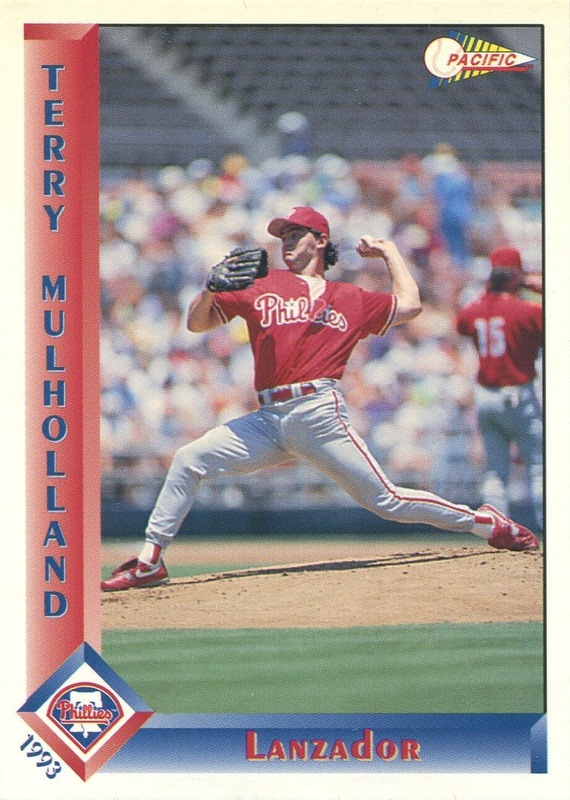 What I don’t understand is how they state the corrected card is in those two parallel sets, yet they make no attempt whatsoever to designate which is in the Desert Storm set. 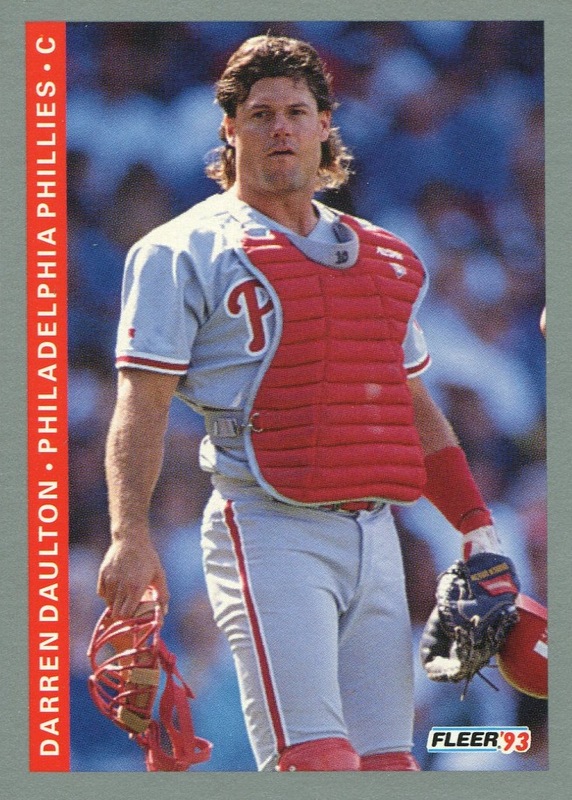 I realize that the state of the Phillies in the early ’90s made it more likely for anyone who didn’t follow the team to make this kind of mistake. 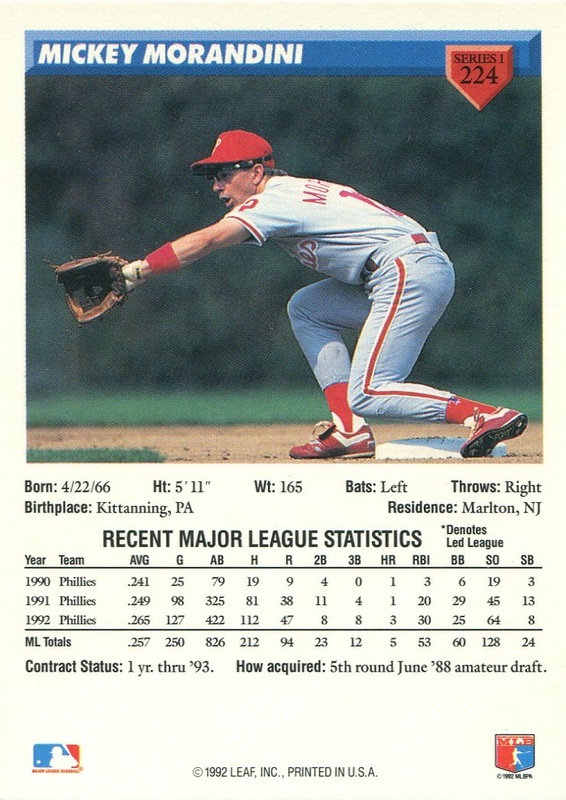 However, while Chamberlain wasn’t a hyped rookie, he wasn’t a lightly regarded prospect either. 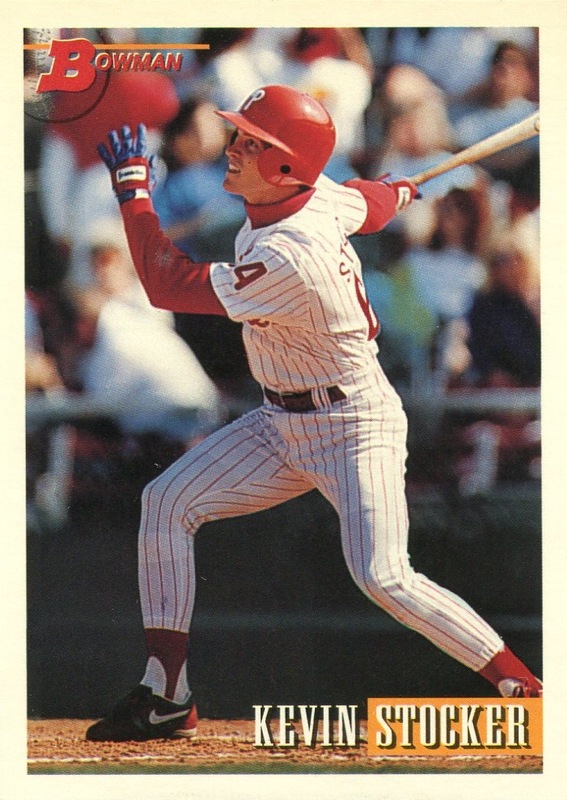 Because he was the Eastern League MVP in 1989, there was enough interest in his rookie cards that this error garnered plenty of attention at the time. 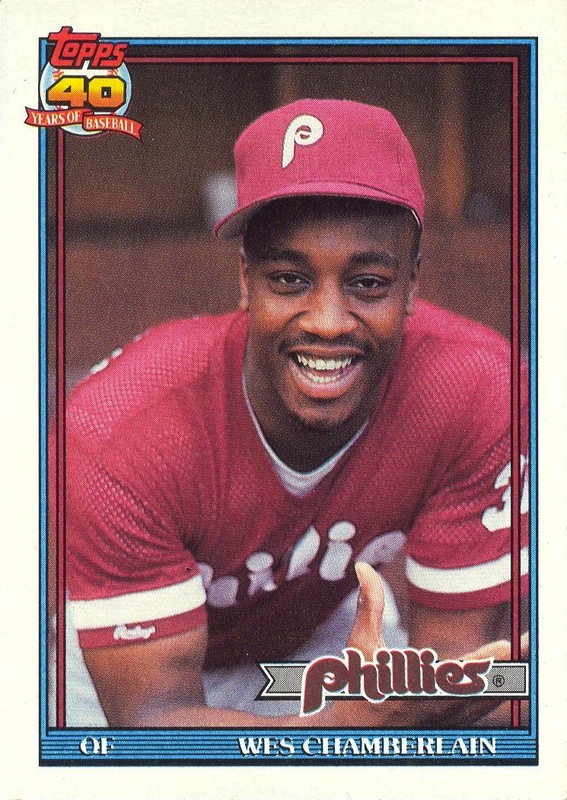 Furthermore, he received a fair amount of exposure in ’93 thanks to the Phillies postseason run. 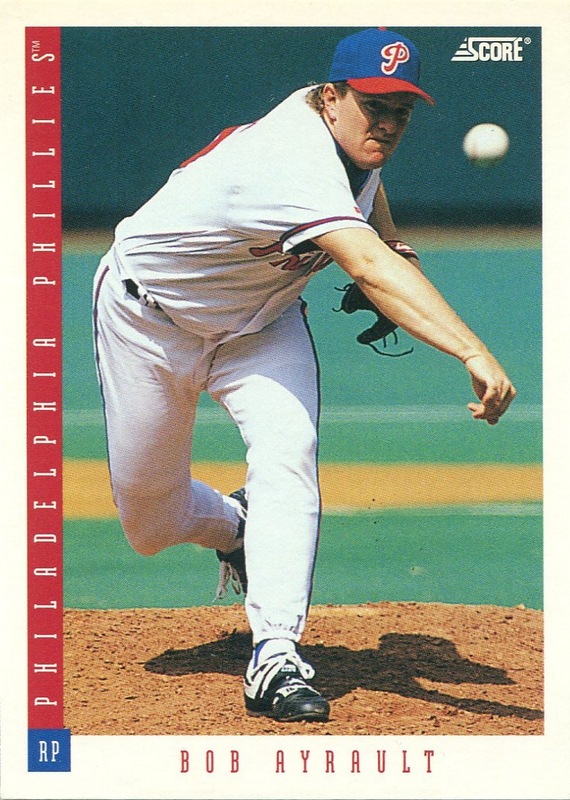 Once you see enough pictures of him (pictured on the card immediately to the left), it’s easy enough to see which card actually bears the correct photo. 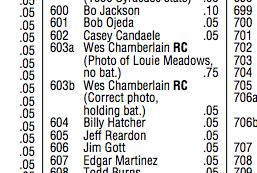 So how is it that after all this time that Beckett and SCD still list the card incorrectly? This is something of a big deal — people unfamiliar with Chamberlain accept Beckett’s and SCD’s information as accurate, and while researching this issue, I found numerous websites that had the two cards confused, even though in each case the writer was almost certainly relying on what he thought was correct information. I’m sure I’m not the first to notice this, so how is it that 21 years later Beckett and SCD still have the two cards confused? Has no one else notified them, or have people attempted to do so but were ignored? 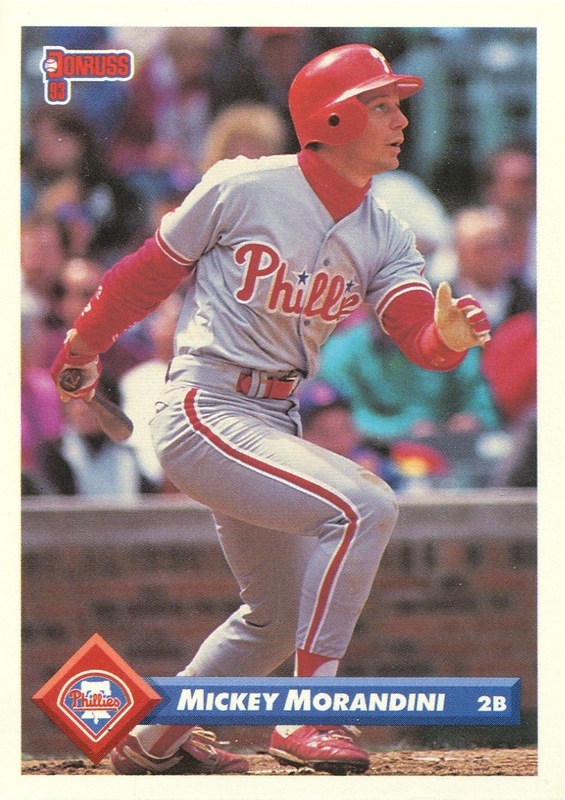 The upshot here is that when I post the checklists for 1991 Topps, Topps Mini, Topps Tiffany and Topps Desert Shield, I will list the cards correctly.